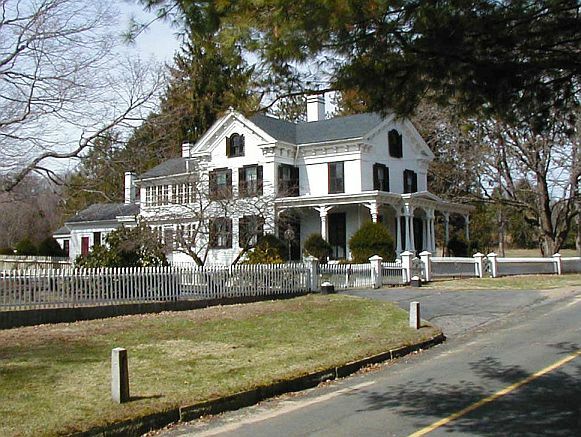 East Haddam, Connecticut was the source of some very striking checks during the period of the Civil War revenue taxes. Some of the more interesting bear the trademark of the Neptune Twine Mills under the proprietorship of Emory Johnson. Stanton Card, owner of the Neptune Mills in the early 1860’s, was one of a group of entrepreneurs who had interests in more than one local mill or other company. His son-in-law, Emory Johnson, was a partner in Card & Company. In 1862 Johnson decided to open his own mill at the other end of the same millpond, and named it Triton. The Civil War was not so kind to the mill owners in the area. They decided that their main commodity, twine mainly useful for macramé, would not be in demand, so they shipped their unused cotton to New York for sale. Johnson did not do this, either out of superior wisdom or, as legend has it, because he was carousing somewhere out of town when the others made their decision and shipped their cotton. When Johnson got back the Connecticut River had frozen and he could only nurse his hangover while the others shook their heads. As a result, Triton Mill was the only one that remained open throughout the war. Johnson later sold some of his excess cotton at prices about fifteen times what he had paid for it. This transaction gave him enough money to build a stately Victorian home in the town across the millpond. 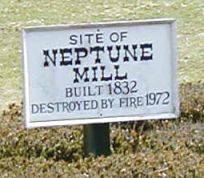 In 1867 Stanton Card died, leaving the Neptune Mill to Johnson. Emory and his son, E. Emory, operated the two mills for the next 38 years. The group of tenements that grew up around the two mills to house workers was known as Johnsonville, a dubious honor. E. Emory Johnson died in 1905. A New York commodities dealer, George Frost, had illegally advised the owners of a number of the local mills to buy cotton from him at a high price when the market was softening, and threatened to take over the companies when they could not pay their bills. Johnson was one of the victims, and on his death Frost took over the Neptune Twine and Cord mills, remaining President until his own death some years later. A check written by Emory Johnson in the spring of 1867. He had not inherited Neptune Mill quite yet, or has not had time to reprint his checks. The check has an RN B1 imprinted revenue. 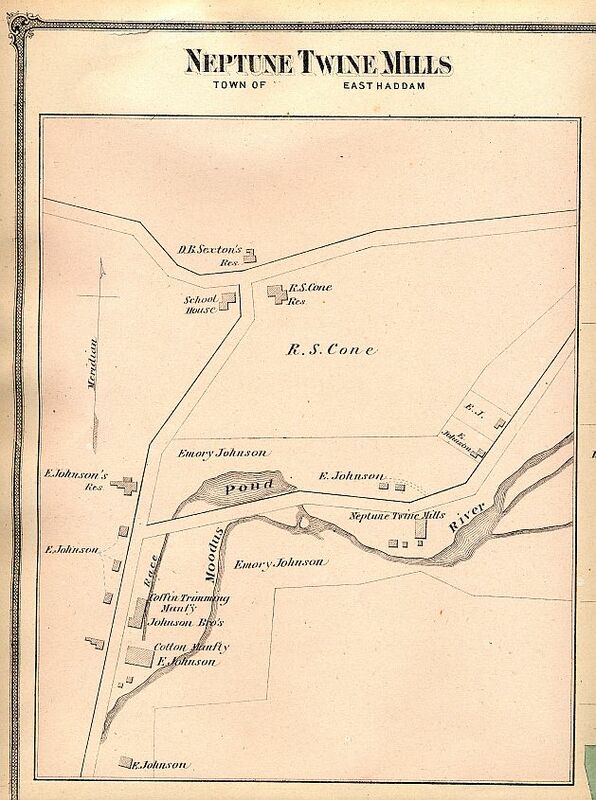 A map of the mill area, showing where Johnson lived, and where the Neptune Mill was located. A check made out to E. Emory Johnson by his father, Emory. By 1873 the Johnsons had incorporated their trademark, Neptune blowing a Triton shell, into the check design. The check bears an RN C1 imprinted revenue. The imprint shows a break in the design at the bottom, a plate flaw. Another check made out to E. Emory by his father, this one in 1881. This check is a bit unusual being printed in blue, as most of them with an RN G1 were printed in green. 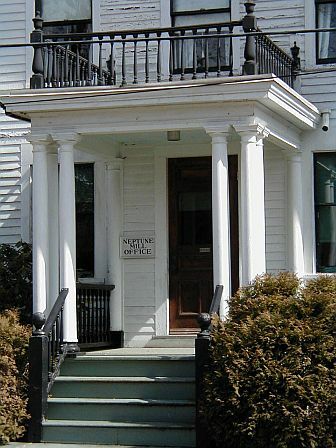 The office of the Neptune Mill was preserved. The building next to it on the left houses the post office. This check was made out for $200 to W.A. Cone, a local insurance agent. It bears an RN N3 imprint. 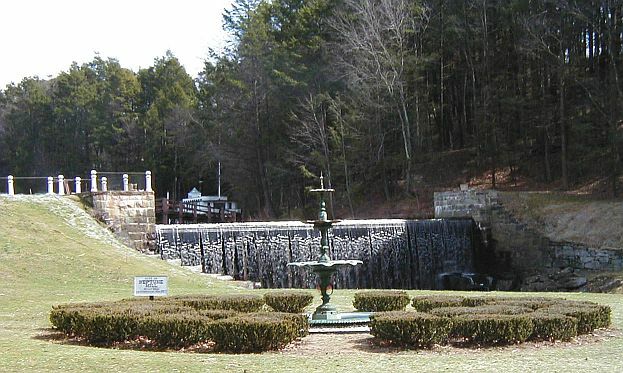 A fountain now graces the area where the Neptune mill was located. The mill was to the left at the top of the small rise. It burned in 1972. W.A. Cone had his own attractive checks in the 1880’s. This particular type is much in demand because of the vignette. The imprint is the common RN G1. Mills along the River – the History of the Cotton Industry in Moodus, Connecticut, Bruce R. Sievers, East Haddam Historical Society, date unknown. 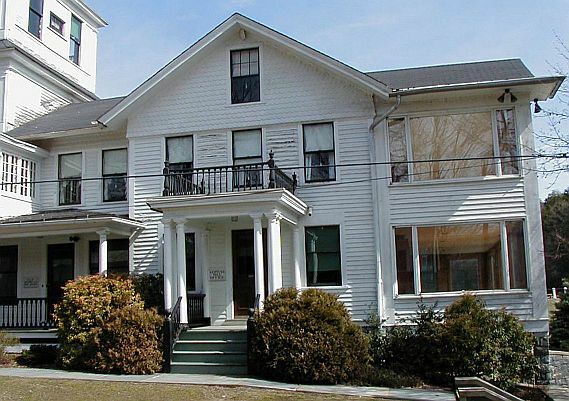 Jeff Sanborn is not a check collector, per se, but is very interested in the history of his home area of Moodus, Connecticut. He bought several Emory Johnson checks from me on eBay, and made the tactical error of letting me know that he had a map of the mill area that he would mount with them for his office. One thing led to another, and he ended up locating the reference work cited above in the Moodus Public Library. In addition, he spent several days taking pictures of the historical sites for this article. Jeff deserves a vote of thanks for helping shed light on the source of some very attractive checks that can be found on the market today. This article was run in the April – June 2002 issue of The Check Collector. The print quality was fine then, but the article deserves to be seen in color. 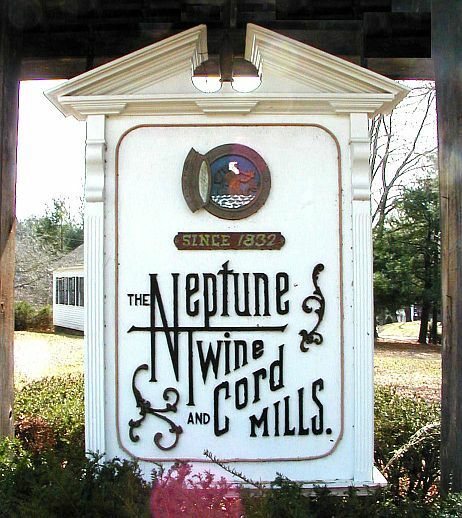 The front door of the office of Neptune Mill, in a photo taken by Jeff Sanborn.